PHP reporting tools are tools built on either PHP architecture or designed to work with PHP applications to integrate the functionality of a reporting solution. PHP reporting tools can include many different types of reporting and data visualization capabilities such as charts, tables, widgets, and other types of visualizations used to analyze data. Embeddable reporting solutions often fall under the larger category of embedded business intelligence. As mentioned, building out and maintaining analytics yourself can take lots of time, effort, and energy, all of which could have been spent working on your product. By embedding a 3rd party solution all of that time savings can be reinvested in building the features which encompass your product’s core competencies. JReport can be deployed and embedded quicker and easier than building something yourself. The development time savings can help improve launch dates allowing you to get your product to market quicker and potentially capturing more market share. As your product expands, it can become more and more difficult keep up with user demands both from a support and a backend perspective. Having to answer the deluge of requests with hand-coded reports can kill support response times meaning a worse customer experience for your users. And if you don’t build your reporting with scalable architecture reports can be slowed down to a crawl. JReport is built with scaling in mind. Cloud Enabled and Rapidly Deployed- JReport can quickly and easily be deployed to any private, public, or hybrid cloud system such as AWS or Microsoft Azure so your software architecture and deployment models stay consistent. 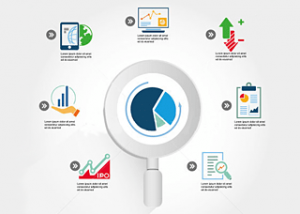 Empower Users with Self-Service Analytics- JReport has a full set of ad hoc and self-service analytics capabilities. Developers can create a semantic data layer we call a “business view” to enable the creation and editing of reports and dashboards. A business view is also has a flat data structure so even if you mash up different data sources end users will be able to easily understand their data. Additional Interactivity for Deeper Data Insights- JReport’s visualizations, charts, and tables are all fully interactive, meaning you can perform sorting, filtering, drill down, and drill up actions easily even in self-service reports and dashboards created by end users. Advanced Administrative and Security Control- JReport can match your security so that end users only see the data they’re meant to. With SSO support, JReport allows you to create a seamless experience in your application. It also has a full range of administrative functions, which allows the administration of data resources easy even at scale. White-Label with Ease- JReport supports a full set of APIs as well as an extensive set of CSS based white-labeling capabilities so you can create a seamless end-user experience for your customers. Match the look, feel, and business logic of your application. Multi-Tenancy for SaaS Applications- JReport’s security capabilities also support full multi-tenancy allowing you to embed JReport into your SaaS application easily. 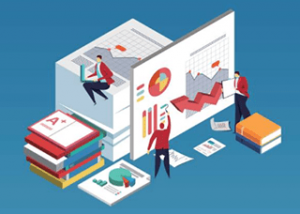 Pixel-Perfect Reports and Complex Reporting Requirements- Create pixel-perfect, printable reports with advanced visualization to meet even the most complex reporting requirements. As mentioned, JReport was built to scale. Its node-cluster architecture allows you to scale up and down in the cloud or on-premises with fault tolerance built-in. JReport Server, the backend server component of JReport, supports heavy real-time usage so you can meet your user’s demand at peak use times. It includes load balancing technology and in-memory cubes so your reports, dashboards, and visualizations run effectively and efficiently. Deliver analytics to your users quickly and easily. JReport also supports a variety of data warehouses, big data like MongoDB, as well as traditional SQL databases for flexible data delivery options. Building your own analytics for your PHP application can be a daunting task for development teams. Embedding a third party embedded analytics solution which supports PHP reporting allows you to deliver analytics to your users quicker and with a lower total cost of ownership. Future proofing your analytics also allows you to spend more time on your core capabilities, and less time on maintaining your analytics capabilities over time. 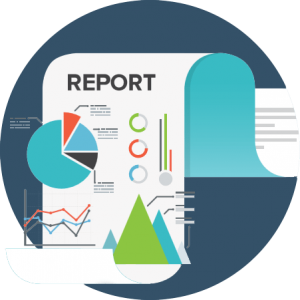 JReport is an embedded analytics solution designed to embed reporting into any PHP application. With JReport you can provide PHP reporting to user’s at scale while saving your development team time and energy.